The problem with envisaging science as the creation of “objects” is that a universe full of objects is rather a boring place. Nothing much happens unless the objects actually do something. The element of time or process in such a world is either missing or of reduced importance. We may ask: how is time or action represented in art and science? Figs. 1a and 1b show frozen moments of time. Fig. 1a Tesla Coil Sparks. Fig. 1b Auguste Rodin, The Kiss, 1886. In normal dry air, the electrical resistance of the air determines the voltage required to produce a spark of lightning. Fig. 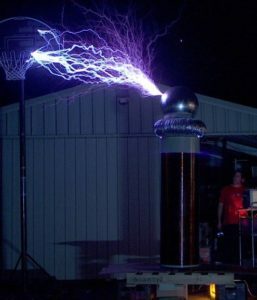 1a is a photograph of a Tesla coil at the exact instant that a spark is produced. The frozen moment is captured in the image just as in fig. 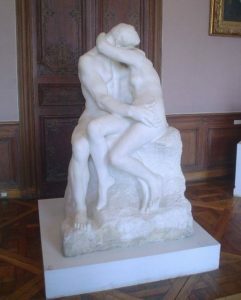 1b, Rodin captures the intimate moment of “The Kiss” in his famous sculpture. There are different kinds of “sparks” depicted in the two images, but the representations in both cases are not the objects involved – the Tesla Coil or the lovers – but the actions: time is of essence, dynamical relationships are not objects. The image of the Whirlpool Galaxy (M51, fig. 2), can also be interpreted as depicting “process”. The spiral arm features captured in the image are, in fact, the captured “instant” of a stellar traffic jam. The arms are “density waves”. These are similar to density waves that describe the bunching of vehicles on a crowded motorway. 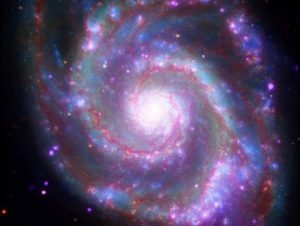 In a spiral galaxy, the waves of compression of the star-forming gas result in “waves” of stars being produced, which gives rise to the spiral arm structure. Thus, in this sense, even the “portrait” of M51 shows a frozen moment of time. The idea that language is somehow a mirror on nature with names standing for real objects in the world, which are somehow “out there” waiting to be discovered, is false. Meaning is “continuously created” in an open-ended process of relationships which can be mapped.